MultiUp should work. I tried it myself, probably use another browser . aloyrender the download links has been fixed try again. Thanks you. I hope i can play it. Thanks so much! Do you think you could make one with just infinite ammo? To everyone asking if it works on BLUS30927(US), it does. Just use multiman to manually delete all the contents of the hdd0/game/BLUS30927 folder after installing the BLES01661 1.02 1.03 and the cheats. Then move the full contents of hdd0/game/BLES01661 into the BLUS30927 folder, reboot, and start the game. 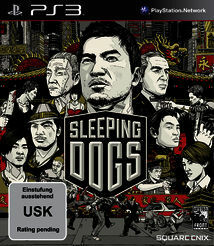 Nospam Cheats has been added for Sleeping Dogs BLUS30927 with only Infinite Ammo enjoy. its not working for me why ? Is your game region in blus30927? yes it is can u help me please ? 1. Max Money After Buy at Store ! -And then replace the modded eboot in //dev_hdd0/game/BLES01661/USRDIR/ on ps3. -And then replace the modded eboot in //dev_hdd0/game/BLUS30927/USRDIR/ on ps3. Thanks to FBML for codes! Me for making the modded Eboot and Cheat pkg! Thanks for this Vexx! I have tested it on 1.04 BLUS30927 and it works perfectly! In fact, the EBOOT contains the codes for Max everything, so that was a pleasant surprise. Great work! I was trying to make my own codes for this game, but couldn't get it to work outside of 'release mode' which made it so I couldn't connect debugger or target manager to the debug eboot. I wish I could find a work around for things like that. I only know how to find codes with breakpoints on ProDG. What exactly is the problem? If it returns to the XMB then you will likely need to change boot mode to 'release mode' in the debug settings, that's what I did. But if you give people a better description of your problem right from the start, then the community can help you better and faster. i have a problem too the cheat is not working when i start the game and play i see that nothing is changed why can you help me ? That is a weird problem, because the cheats are present at the correct addresses, the EBOOT works fine for me and I am using a PSN download. All I can think of is that maybe you don't have the actual modified EBOOT in the directory. Maybe did you confuse one of the update packages with the cheat package? Try taking the EBOOT out of the pkg file and just adding that to the USRDIR, you can use FTP for that or MultiMan. I have a feeling that if you game is booting but the cheats are not working, then you likely don't have the actual cheat pkg EBOOT in the USRDIR. It's easy to confuse when installing multiple pkgs. If you didn't have the right EBOOT for you region, or the right kind of EBOOT for your firmware, the game wouldn't boot at all. Try what I told you and let us know if it works out. The cheats are not working. BLUS30927.